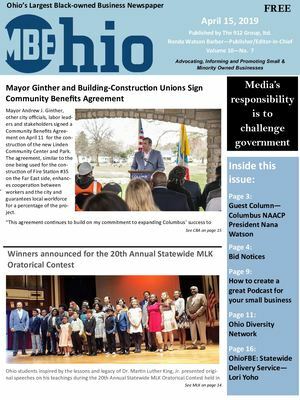 The April 15 issue of OhioMBE features Columbus' new CBA. It announces the MLK Oratorial contest winners. There's a guest column from the Columbus NAACP President Nana Watson.